We all know that New Yorkers love their dogs, you can see proud pet owners walking them all around the city. The cute little creatures are welcome in almost every aspect of society, except perhaps when it comes to the dining scene. The Wilson is a contemporary American restaurant and bar in the heart of Chelsea, under NYC’s In Good Company hospitality branch. Open 7 days a week, you can find absolutely everything your heart desires inside. With a wide variety of options for brunch, lunch, dinner, cocktails and more, The Wilson suits any occasion. One could say it had almost everything you could want, but was still missing something to really make it stand out. 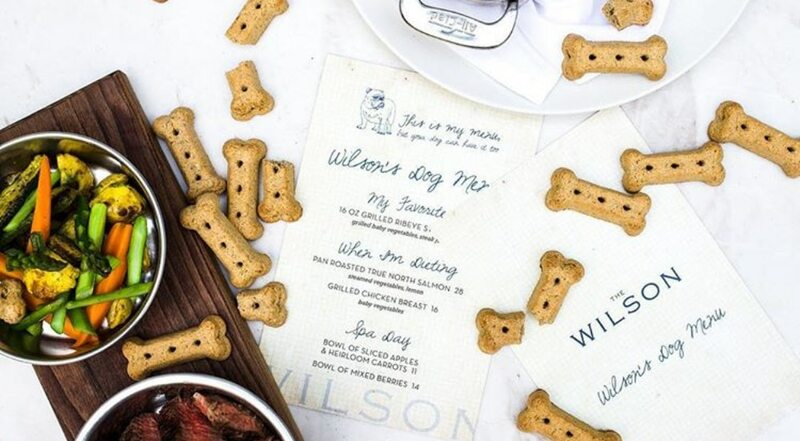 Cue their first attempt at a puppy-friendly menu, inspired by the culinary director’s own cooking for his dog, the menu includes dishes that are meant to be shared between both pets and humans (a few options include steak, salmon, chicken breast, baby veggies, mixed berries). This intimate experience might not be for everyone, some might argue that it’s a bit extra to have your dog eat at a restaurant with you. For those that are onboard with taking their dog for a fancy meal out, now you know where to go!